During a recent visit to the Pasadena, California, farmers’ market, LA Weekly’s Felicia Friesema discovered a new, thin-skinned and supercreamy avocado. Aptly named the Surprise, this dark black fruit—a cross between the Hass and Zutano varietiescan be eaten whole, save for the small, marble-size pit. The rich, silky-smooth avocado's season is almost over, but its popularity should mean that more Surprises will turn up in markets next February. 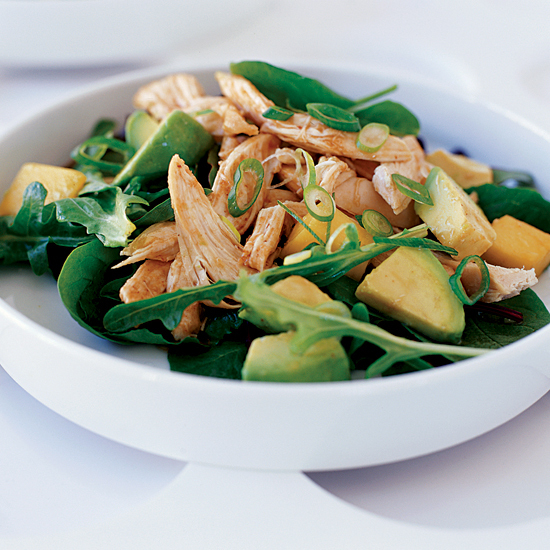 Whether you track down a Surprise or just have a perfectly ripe Hass on hand, this Spicy Chicken, Avocado and Mango Salad drizzled with a citrusy chile-lime dressing makes for a fast, tropical lunch or a light dinner.